Leeds writer A.J. 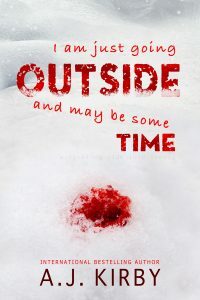 Kirby tells us about his new novel I Am Just Going Outside and May Be Some Time, with a special offer for 5 lucky readers. It’s been the hottest summer I can remember – and I’d better not be putting the curse on it by remarking on it. Because I’ve enjoyed every minute. I’ve enjoyed how the sun has – seemingly – brought us out of our shells. Brought us together, around the grill at barbecues, endless barbecues, in beer gardens, in parks and playgrounds, at festivals and sporting events (the fantastic Triathlon in Leeds, anyone? ), and around big screens as we took in the World Cup. So it’s rather absurd to reflect that during this time, this summer of love, I’ve been hard at work completing my new book, I Am Just Going Outside and May Be Some Time. It’s about a different type of sun. A sun which never sets; a sun which is as endless as the barbecues we’ve all been enjoying. A sun which causes us to question our very sanity. A sun which divides us; which sets us apart, in isolation. Outside is an introverted kind of book, a book whose shell has grown hard, become a carapace. Its protagonist, let’s call him Mr. Lonely – like the old Akon number, which doesn’t even sound good when you’re suffering from sun-stroke, but which does have a certain ear-worm quality – is a man on the brink. He’s on the brink of the world, in a liminal space; the kind of space which in old maps might be annotated ‘where monsters be’. He’s on the brink of madness, his own misanthropy forging a barren landscape in pathetic fallacy, living out an endless day which contains its own summer of hate. An early reviewer of the book called it ‘the anti Martian’. Whereas in Andy Weir’s 2014 novel his central character’s isolation brings about the life-affirming narrative in which – seemingly – all of humanity comes together to attempt to rescue the Martian castaway, regardless of the cost, here my main man is beyond singing any redemption songs. Or is he? The starkness of the barren landscape in which I Am Just Going Outside and May Be Some Time is set, its lack (in the main) of a supporting cast, the first-person narrative style all contribute to making this book the most character-driven I’ve ever written. I’ve had to live and breathe Mr. Lonely, and I’ve found that once I’ve gotten past his sneeringly cynical demeanour I’ve actually come to enjoy his company. As a writer I couldn’t have written such a character as relentlessly bleak, nor could you have read him. And I suppose that’s where the ‘anti Martian’ stuff really kicks in. For just as in Weir’s tale, the infectious humour of the protagonist carries us along, thus the dark humour of my Mr. Lonely – humour which tickles the sharper end of the funny bone – gradually draws us into the same headspace and allows us to (hopefully) empathise. I’ve had a lot of moments of self-doubt about this book but something I’ve never doubted is Mr. Lonely’s ability to carry it on his own (hunched) shoulders. Mr. Lonely does not have a sunny disposition, but he isn’t a fake, either. He’s brutally honest, unflinchingly his own person. He wouldn’t reach out for help, but I will. I’d like to ask if there’s anyone in the Big Bookend community who might be interested in receiving a free (kind of) electronic copy (in .mobi or .pdf format) of the book in return for a (brutally honest, if you like) review of the book, either on your own blog, or to be uploaded onto Amazon. 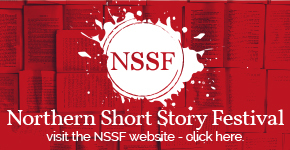 I’m offering five readers this opportunity, on a first-come, first-served basis. If interested, please email me on andrewkirby92@btinternet.com. A.J. 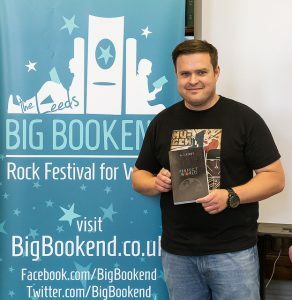 Kirby hails from the North of England and he writes fiction from the darker side of the street. He is the multi-award-winning author of eleven published novels and over sixty published short stories, which can be found widely in print anthologies, magazines and journals and across the web in zines, writing sites and more. Paint this town Red was short-listed for The Guardian’s Not the Booker prize, and Bully achieved number one status on the Amazon psychological horror chart. He lives in Leeds with his partner Heidi and children Leon and Peggy. He blogs at: https://paintthistownred. wordpress.com/ and his Twitter handle is @ajkirbyauthor. Next story The First Ever NoShoSto Book Club!